In which we explore the filmic concerns of a given theme, and find new and novel ways of putting together yet another Internet-based list of movies. The wrinkle here, is our fifth pick will actually serve to prove as the counter argument, the best representation of the direct opposite of our theme. 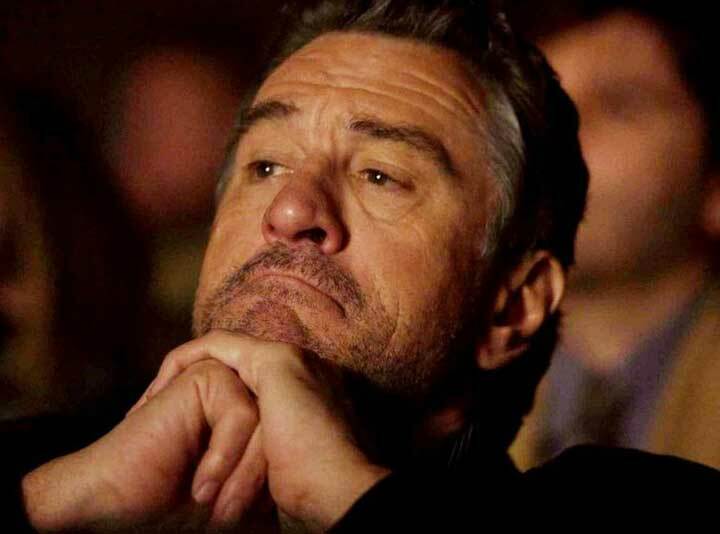 Essential Characters: Ben (Robert De Niro), an aging Hollywood producer whose career is on the wane; Kelly (Robin Wright), his estranged wife who may be having an affair with a screenwriter; Sean Penn (Sean Penn), an actor whose latest film leaves his character with multiple shot wounds on the bottom of a giant pile of coal. Gist: A maniacal Hollywood producer in desperate need of a hit tries to juggle the chaos involving his estranged wife and her new lover while attempting to get his most recent production off to Cannes on time with the proper edits. Help Needed: Ben needs many things quite desperately, but most of all he needs for his director Michael Wincott (Jeremy Brunell) to fashion an ending to his tragic thriller that doesn’t totally bring down the audience with a dog shooting. End Result: The film plays Cannes and earns fairly rough treatment. Ben is regulated to the far edge of the “Vanity Fair” Hollywood producers cover-shoot, which seemingly renders his career more or less moot. 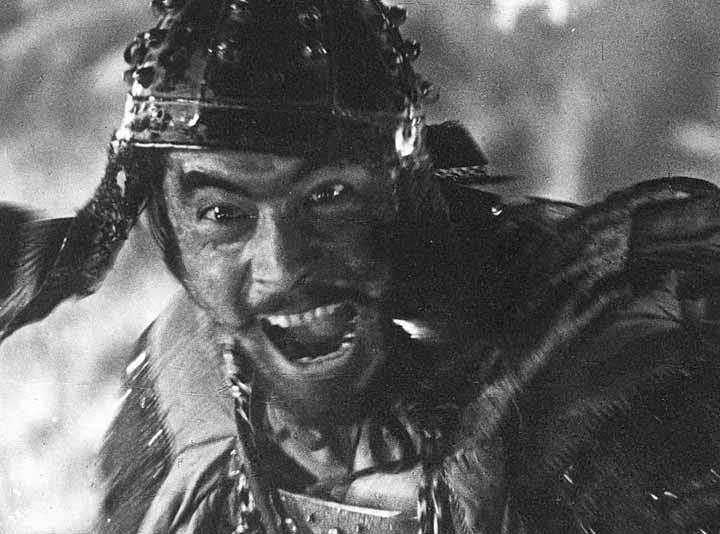 Essential Characters: Kambei (Takashi Shimura), the leader of the team of samurai; Kikuchiyo (Toshirô Mifune), the rough-riding wildcard amongst the team. Gist: A small farming village in rural Japan is beset with attacks by brigands in the wake of a civil war. The village elders hire a small squadron of honorable samurai to help defend them, resulting in an epic battle. Help Needed: The farm village more or less entirely subsists of their barley harvest, so when one of the villagers overhears the brigands discuss lying in wait and stealing it, the town badly needs to come up with a plan. Since they have virtually no money, this involves offering the potential saviors nothing but three square meals a day. Help Received? Most definitely. Thanks to the honor and compassion of Kambei, who recruits the others to the cause, the town has its protection. Of course, they also get this guy, but you don’t always get to choose your heroes. End Result: The aforementioned epic battle, which results in much bloodshed on both sides. Oh, and the 17th best film ever made (as according to the imperious BFI poll), largely for such gloriously rendered moments such as this. Essential Characters: Grace (Brie Larson), a caring counselor who has just discovered she’s pregnant; Mason (John Gallagher, Jr.), her live-in boyfriend, and also a counselor; Jayden (Kaitlyn Dever), a new arrival to the home, trying to avoid being returned to her abusive father. Gist: At a rollicking home for at a home for at-risk kids, things come to a head for lead counselor Grace, as she discovers her impending pregnancy at precisely the same time several of her charges are in dire and desperate straits. Help Needed: Good lord, in this film absolutely everyone needs help of some kind. The counselors are all frazzled and on the edge, the kids are absolutely haunted by their abuse, and Rami Malek attempts to rap. Help Received? Yes, but somewhat enigmatically. Grace just about reaches the end of her rope trying to defend Jayden from her father and is forced to confront her own history of abuse in the process. End Result: Much as it began, with happy counselors chasing after a wayward kid who is making a break for the road. 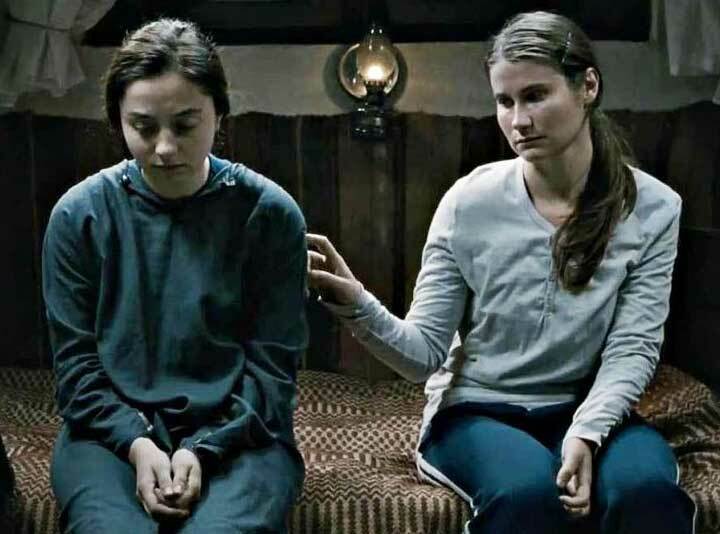 Essential Characters: Voichita (Cosmina Stratan), a young, orphaned Romanian woman, who has just entered a convent; Alina (Cristina Flutur), her combustible good friend from the orphanage, who visits her from Germany and wants very much for Voichita to run away with her; Priest (Valeriu Andriuta), who runs the convent. Gist: Based on a true story, two friends and former lovers are reunited at a convent, where one is in the process of committing herself to God, and the other is trying anything she can think of to get her friend to leave with her. Help Needed: Depends upon whom you ask: Alina would say Voichita needs help to escape the stringent, austere asceticism of the convent. The Priest, worried about his young charge, might suggest the defiantly unhinged Alina is the one in need of help in the form of brutal spiritual exorcism. Pretty much, there’s enough need to go around. Help Received? Well, not really (NSFW), unless tragic, absolutely misguided religious intervention resulting in cataclysm, misery and death sounds agreeable to you. End Result: (*Spoiler Alert*) Alina is put through an excruciating exorcism which ultimately results in her death. Voichita is heart-broken; the convent is left under intense criminal scrutiny. Essential Characters: Henry (Ewan McGregor), the patriarch of a wealthy enclave of a family; Maria (Naomi Watts), the matriarch; Lucas (Tom Holland), the eldest son of the clan; younger brothers Thomas (Samuel Joslin) and Simon (Oakley Pendergrast). Gist: Also based on a miraculous true story, while on vacation in Thailand, a family of five gets swept away by the terrifying 2004 tsunami that absolutely devastated the area. In the aftermath, broken into separate teams, the family struggles to find each other amidst the chaos and carnage of this natural disaster. Help Needed: Seemingly, the entire family is in dire need. Or at least they would be if they weren’t rich, white and absurdly blessed. After the wave hits, Maria is injured badly but makes it to the hospital with Lucas, who takes on the role of her protector. Henry and the younger two sons are all fine, just frantically searching for the missing two. Help Received? Sigh. See for yourself. End Result: After a few rounds of “Run Joe Run”, the family are all happily reunited and eventually get sent, by what appears to be private passenger jet to a real hospital somewhere else. Not to belittle the amazing real-life family who survived this horror, but this film makes very little mention of the staggering number of non-rich, native families that weren’t anywhere near as lucky as this intrepid bunch. The unholy product of a British English professor and a southern novelist, Piers is a writer and film critic based out of Philadelphia, where he lives with his cantankerous wife and lovingly belligerent daughter. Previous PostMargit’s Note: A Little Help Over Here….